Everyone wants to have clean and shiny laminate floors in their home. If you have children or pets in the house, you will understand how difficult it can be to keep your laminate flooring in good condition. Muddy footprints and stains, splashes and spills can soon leave the nicest laminate floor looking like a complete mess. 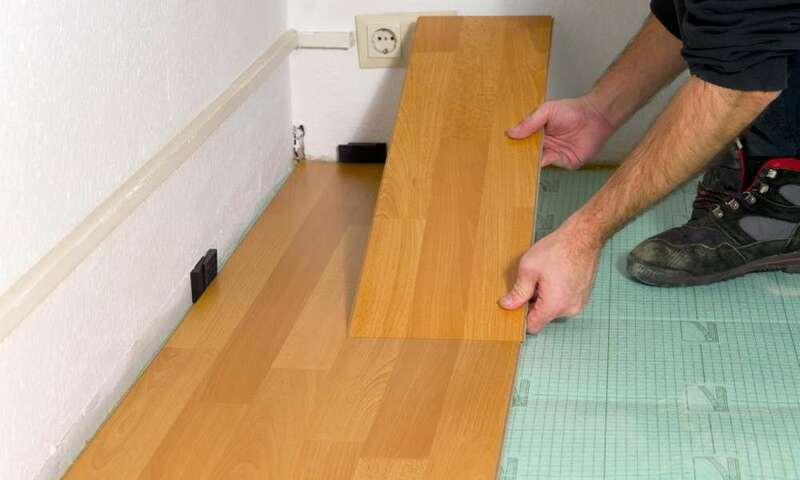 Below is a guide which will help you keep the laminate floors in your home in fantastic condition. Many home equipment stores sell a range of laminate floor cleaning products. While these products may quickly dissolve dirt and grime, they also typically contain a variety of toxic chemicals. If you have children or pets, you should avoid using toxic cleaning chemicals in your home. The strong bleaches used in many commercial cleaning solutions can also cause damage to the laminate flooring. Thankfully, you can protect your loved ones and save money by making your own cleaning solution. Simply, mix a cup of vinegar with a bucket of warm water and use the mixture to disinfect and clean your laminate flooring. Vinegar and water is a non-toxic and low-cost way of cleaning the floor, as all, you probably already have a bottle of vinegar in your home. If you pour cleaning liquid directly onto the floor surface, it may collect and pool which can result in staining. Instead, You should use a spray bottle to apply cleaning solution to your laminate floor. A spray bottle will spread a small amount of cleaning fluid evenly across the laminate flooring. Replacing any old mops can help to prevent any old dirt being reapplied to the surface of the floor as you attempt to clean it. 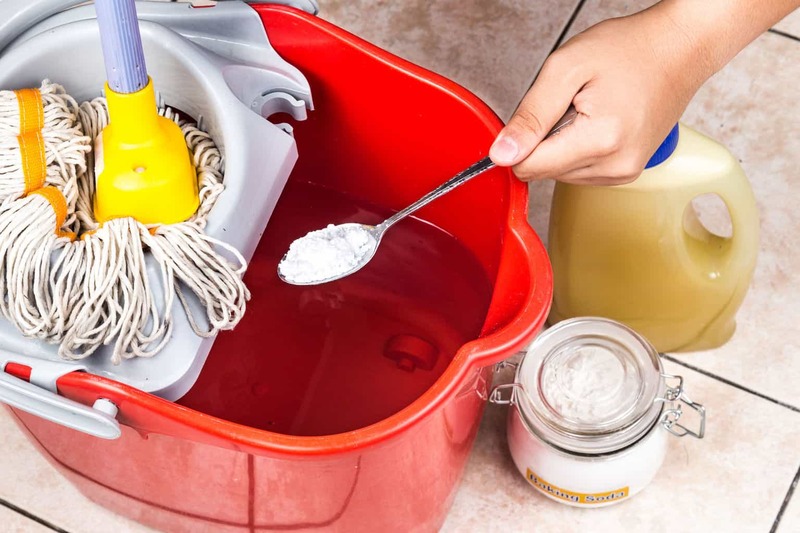 If you are using a homemade vinegar and water cleaning solution, you should apply it using a brand new mop. If you use an old mop, you may contaminate the floor with traces of the toxic cleaning product. You do not require an expensive mop as a simple model will be adequate for cleaning a laminate floor. To prevent the build-up of dirt and debris on your laminate floor, you should sweep it on a regular basis. Ideally, you should clean it on a daily basis. If this is not possible, you should create a schedule which allows you to sweep it at least once a week. 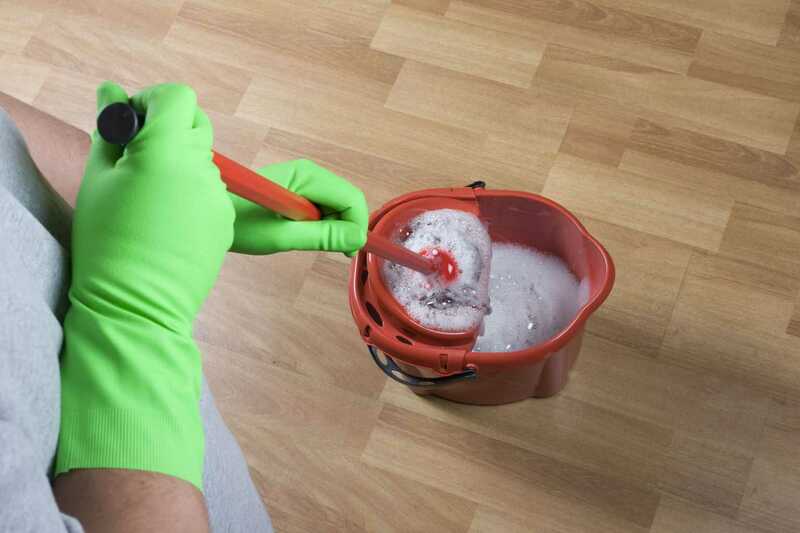 Once you establish a routine, cleaning your laminate floor will become second nature. If you fail to clean your laminate floor on a regular basis, you increase the chance that debris will be pressed into the surface of the floor causing damage. You should always sweep the floor before you beginning mopping, as it will be difficult to lift up any dirt or debris once the floor is wet. If you have the time, you should also vacuum the floor to pick up any particles you missed with the brush. If anything is spilt onto your laminate flooring, you should immediately take steps to clean it up. If you fail to clean up a spill, the liquid could seep down into the joints and cracks, weakening the laminate flooring by causing it to warp out of shape. You should use a mop or soft cloth to clean up any spills. 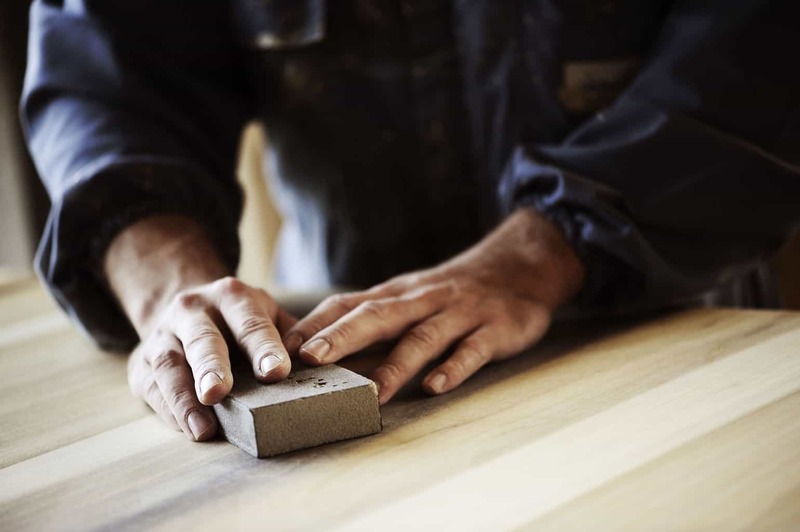 If you use an abrasive sponge, you may scratch the surface of the floor. If the spillage leaves a sticky patch, you should rinse it away using a solution of vinegar and warm water. If you have recently had cheap laminate flooring installed in your home, you may want to consider introducing a new house rule which requires that your family and visitors to your home remove their shoes at the door. While this may seem a little strict, it will help to reduce the amount of dirt and debris brought into your home from the outside. If you do not feel comfortable asking visitors to remove their shoes at the front door, you could invest in a doormat. A doormat will help to eliminate any dirt or pebbles from visitors shoes before they trod them into your laminate flooring. During the day to day life of your household, it is likely that furniture is often moved around. If furniture is not lifted when it is moved, the legs can scratch and scrape the surface of the laminate flooring. Investing in protector pads is an excellent way to solve this problem. The protector pads, which are usually made of soft plastic or felt material, are designed to cushion the furniture when it comes into contact with the floor. Protector pads are adhesive on one side and are easy to install on the bottom of the furniture in your home. Protector pads can become worn, so it is a good idea to check if they need replacing. Never use wax onto your laminate flooring as it can damage the laminate finish. 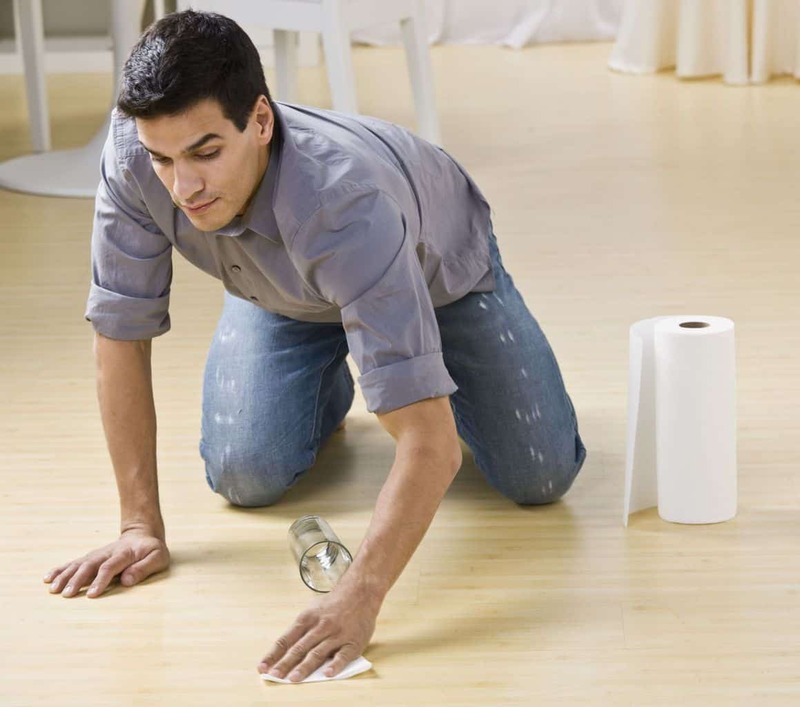 Wax can also cause an unattractive and cloudy film to form on the surface of the floor, which will attract dust and debris and make it difficult to keep the floor clean. Although your laminate flooring may imitate the look of wood, it is important to remember that it isn’t made of wood and so it cannot be sanded or refinished. If you attempt to do so, you will cause damage to the laminate coating which will result in it having to be replaced. If your laminate flooring suffers a scratch or scuff, you should replace the board rather than attempting to sand or refinish it. 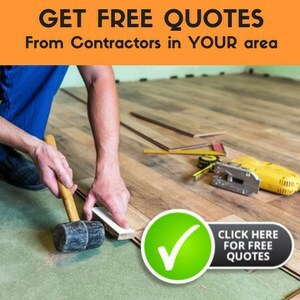 Following these tips will help you to keep your laminate floor nice and clean and will also assist you in protecting the surface from potential damage, allowing you and your family to enjoy all the benefits that cheap laminate flooring can bring.